N. 'Pseudonarcissus', 1W-Y – This is most surely the flower that Wordsworth saw in the English lake district that inspired his poem "The Daffodils". 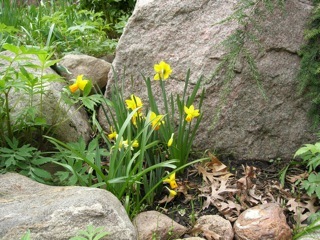 Daffodils are one of the easiest perennial plants to grow in Minnesota! Many, many varieties are reliably hardy here. They're not just yellow anymore—pinks, oranges, whites, reds and greens have been created. 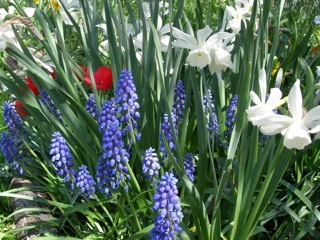 Deer, squirrels and rabbits leave them alone, unlike other spring bulbs. They are one of the first signs of spring after our long winters. They are long lasting cut flowers. And, when they are happy where they've been planted, they multiply year after year. They are virtually pest free in Minnesota's climate. But Minnesota's harsh climate requires steps which are not mentioned in general gardening how-to books or mail-order catalogs nor are they taught by local nurseries. 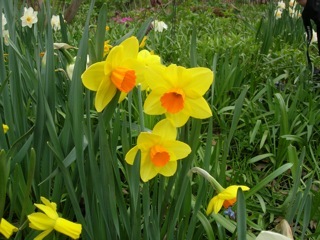 National Daffodil Show this Spring! The Daffodil Society of Minnesota is hosting the American Daffodil Society's 2019 National Convention and Show, right here in Bloomington, Minnesota, from May 2nd through May 5th. Picture a hotel ballroom full of blooming daffodils! Plan to come to the free, open-to-the-public show May 3-4 and be inspired! For details, visit 2019 National Convention page. Daffodils are a wonderful addition to the garden landscape, especially when planted in clumps, and with other bulbs and other early-blooming perennials. 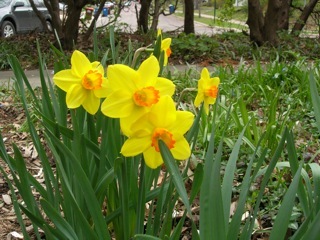 Here are four different daffodils that are easily grown in Minnesota, spanning from early season through late. We hope that our website provides you with useful information, whether you are planting your first daffodil bulbs in Minnesota or whether you've grown them for years. Enjoy your visit and we invite you to join us. This site was created by William Smale with content provided by the Daffodil Society of Minnesota members and funded, in part, with a grant from the National Science Foundation through the Science Museum of Minnesota's Community Partnerships Serving Science Program. 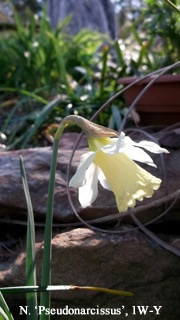 We thank the American Daffodil Society for hosting our website.